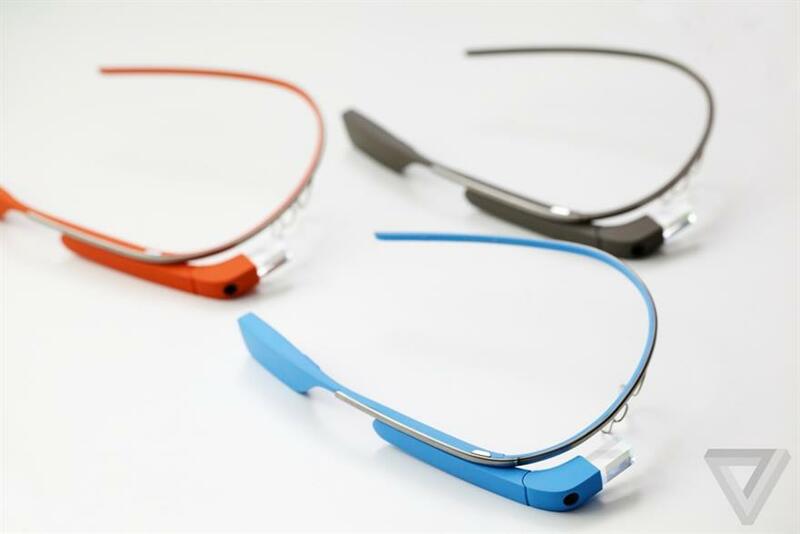 Google has finally shipped the first of its 'Glass' units to developers. 'Terminator vision' has arrived. Today is the day when science fiction becomes science fact as Google’s ambitious ‘networked spectacles’ are sent out to selected developers. The packages contain the first iteration of the glasses - which have been called everything from ‘Google Goggles’ to the uber-catchy ‘head-up display glasses’ - as well as basic technical specifications for the head-mounted device and the Android app used to configure them. But the lucky recipients will only be able to play with their new $1,500 toys for a day at a time, as battery life on Google Glass is limited to 24 hours, and is significantly reduced by using the Google Hangout or video features. Although MT thinks this may be a blessing in disguise: imagine the eyestrain. • Glass has an adjustable nosepad and extra nosepads in two sizes for the extra-large schnozzle. And, for anyone foolish enough to attempt to wear these babies in the bath, or in driving rain, Google has released a FAQ warning that users should keep the glasses away from liquids.